Ready to say goodbye to Winter? At Garfish we’ve got Spring on our minds. As well as having the warmer weather to look forward to, we’ll be bringing you lots of special Spring inspired dishes gauranteed to make you forget about those winter blues. Why not come down and soak up the sunshine and Spring air at Kirribilli’s and Crows Nest’s cafe style atmospheres? Our chefs have been hard at work to bring you the best of the new season, like Crows Nest’s coriander paperdelle, mussels and diamond clams with chilli, garlic, white wine, pine nuts and anchovy crumbs. For a sweet finish to your meal, Kirribilli’s pineapple tarte tatin with roasted cocount ice cream and lime syrup is worth trying. 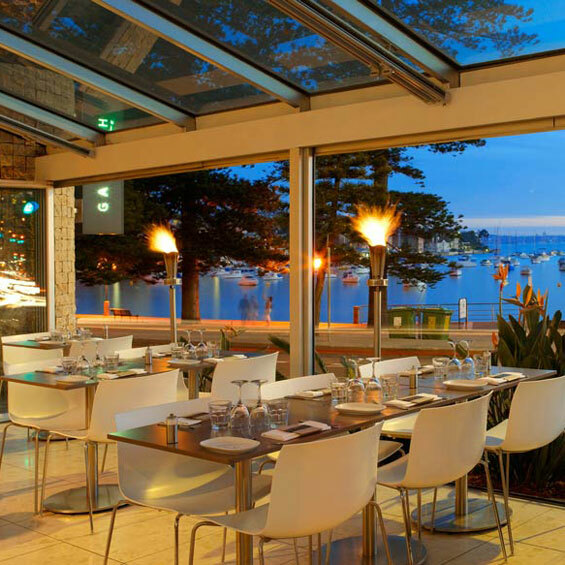 Or come and enjoy the stunning Harbour view at Manly while you savour our wood roasted whole baby bonito with chimi churri sauce and pickled chillis. Our desserts will put a spring in your step and our pavlova filled with berry cream and served with berry compote is no exception! Our new Spring menus will be available @ Manly on Wednesday 12th September, @ Kirribilli on Wednesday 19th September and @ Crows Nest on Thursday 20th September.